(S0301) Zombie Jesus, Ryan O’Neil, Kenny Powers. These are the names of some of the greatest comeback stories in history – well, according to the last one, who’s spent his last year closing for the Myrtle Beach Mermen after returning home from Mexico. 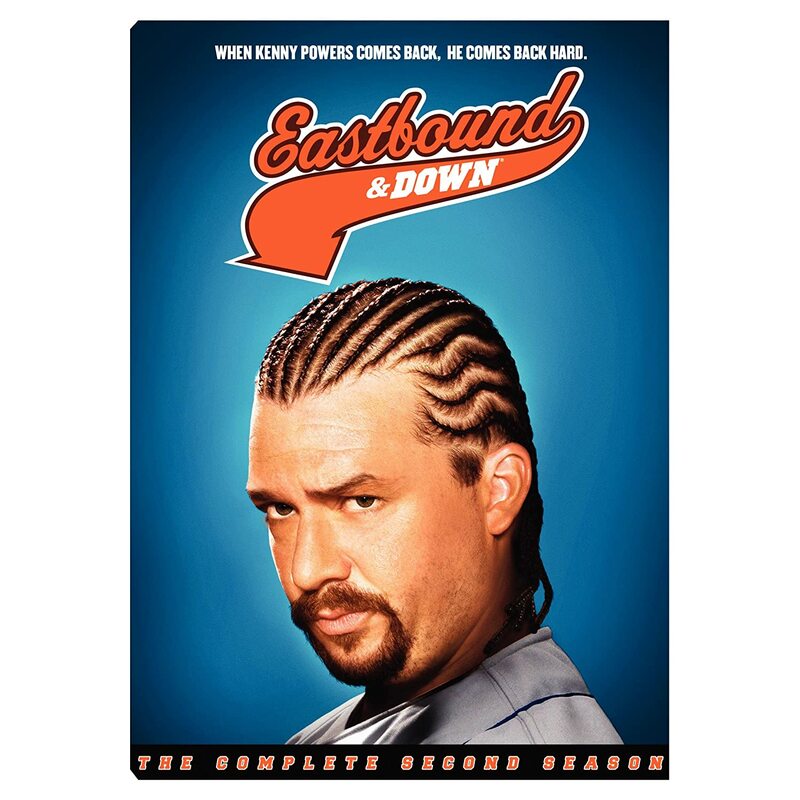 I’ve always found Eastbound and Down to be selectively humorous; Danny McBride pulls of the white-trash parody well, but sometimes he makes it all too awkwardly real. Kenny hasn’t changed a single, overconfident curl in the year since we last saw him. With the introduction of the equally-crude catcher, Shane (Jason Sudeikis), La Flamma Blanca and his aspirations have never been higher. His ego has never spared much concern for anyone else, and the birth of his son Toby hasn’t changed that... yet. Kenny makes a drunken fool out of himself by justifying his absenteeism in front of everyone at Toby’s first birthday party, finally retiring to his jet-ski to wash away his embarrassment. A surprise visit by a clearly distraught April reignites his hopes for the two of them, so he calls Shane to watch Toby and takes April out for what turns into an uncharacteristically-unbecoming night for her. After stumbling back home and sending Shane on his way, Kenny is sure he’s sealed the deal with his former flame. When he wakes up the next morning, however, April is gone, leaving nothing but a note and baby Toby crying in the dojo where she left him. The consequences of Kenny’s actions – or lack thereof – have finally caught up with him, as April throws an unexpected wrench in his system for success. It should be fun to see how Kenny responds to his forced fatherhood in this final season, hopefully leaving fans feeling satisfied with its atypically short run. Sudekis is sure to entertain as the second half of Kenny’s dream team both on and off the field, and more familiar faces are bound to round out the closer’s closing chapters. Mark is a freelance writer, student of English and Philosophy, and still has too much time on his hands. If you have any of your own, check out the blog and follow him on Twitter! "The pink stars are falling in lines." If the impact of last night’s finale of the Walking Dead was at all diminished by the quality of season premieres it went up against, I’d hate to see how it would have matched up against those same shows’ finales.